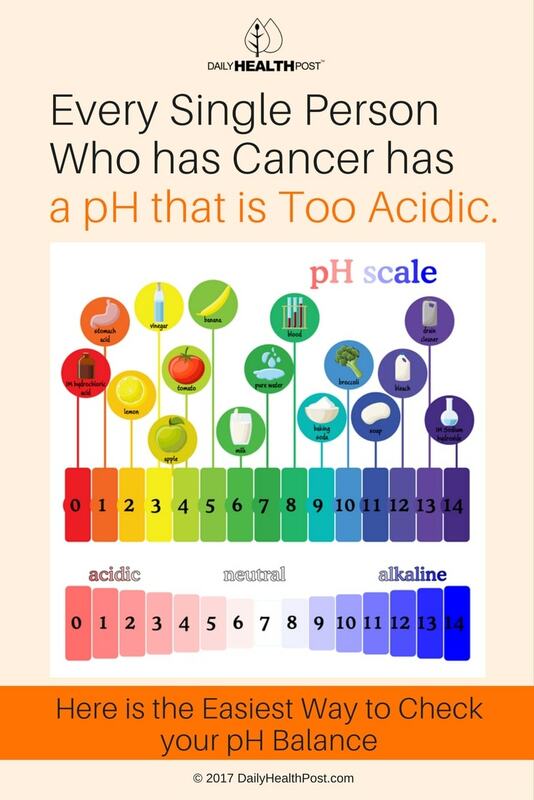 Every Cancer Patient Has a pH Balance Problem. Do You? A slightly alkaline environment is essential for proper cellular functions. Your gut bacteria and immune system rely on it too. Unfortunately, the modern diet and lifestyle can cause your body to become too acidic, which increases your risk of inflammation, cancer, and disease. pH is the acronym for “power of hydrogen”; it measures the amount of activity of hydrogen in a solution (1). One hydrogen atom is positively charged; when combined with one oxygen atom, they become a hydroxyl molecule that is negatively charged (2). Rated on a scale of 14, pH is measured at 0 as the most acidic (higher hydrogen concentration) and 14 is the most alkaline (higher hydroxyl concentration). Water (H2O) has a neutral pH of 7 (the extra positive atom of hydrogen offsets the negative hydroxyl). It’s important in the context of body chemistry because living organisms depend on hydrogen and oxygen. Any condition other than the proper balance between acids and bases will adversely affect every bodily process. Acids break up other chemical bonds. That’s why your stomach secretes acids: to break down food. If the environment in your body is chronically acidic, molecules will break up and change shape. Abnormal cells can then accumulate and contribute towards cancer. 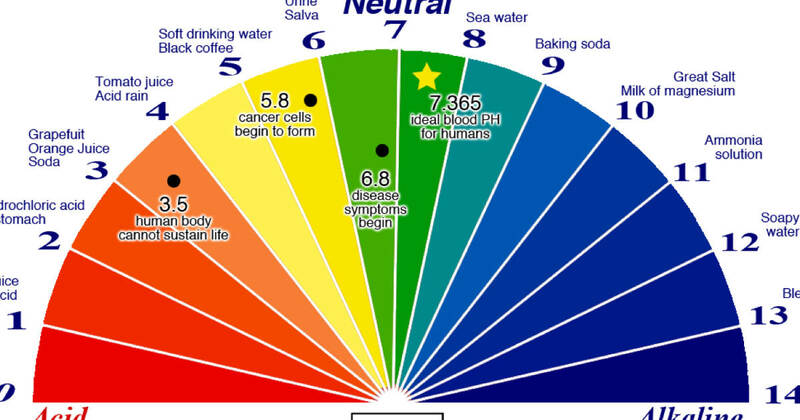 Your body’s optimal average pH is slightly alkaline at 7.4-7.5. However, each system has different pH values. For example, healthy blood has a value between 7.35 and 7.45, stomach acid has a value of 1.5 to 3.5, and the intestines fluctuate from 5.7 to 7.4 (3,4,5). Checks and balances to regulate pH occur every second of every day. Acidosis is a condition in which the pH balance in your body is chronically acidic (below 7 pH). This can translate to blood, respiratory, and/or metabolic acidosis.